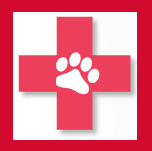 Kennesaw Mountain Animal Hospital is a Veterinarians facility at 1600 Kennesaw Due West Rd. in Kennesaw, GA.
Office Staff Carrie E. Friedewald, D.V.M., Melissa J. Roberts, D.V.M. Services Kennesaw Mountain Animal Hospital practices at 1600 Kennesaw Due West Rd., Kennesaw, GA 30152.